The living room—or lounge, or sitting room—is a comfortable room where everyone in the house can go to relax. 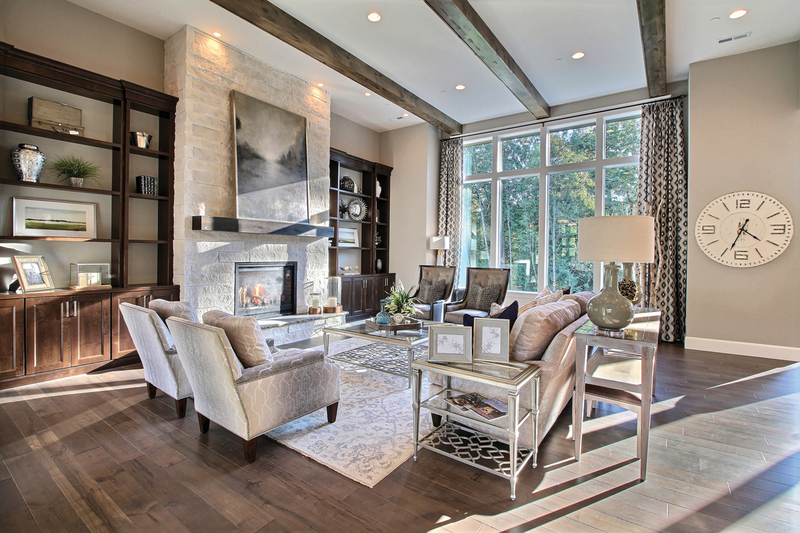 There are a lot of design options available for living rooms, and it can be hard to know where to start, especially if you want the space to have visual impact. These ideas will help you get the creative juices flowing about your living room design, no matter what your budget. Whether you need some inspiration for complete redecorating, or just looking to give the room a bit of new life, our ideas will be helpful. Our styling tips and shopping advice can help you pick out the perfect colors and best furniture to achieve your design goals in the living room. The best way to save money is to work with what you already have. 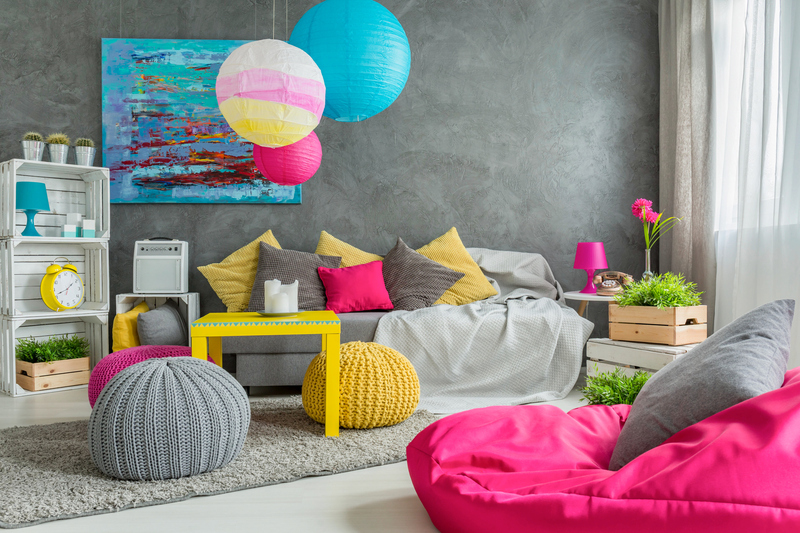 Rearranging your furniture can be surprisingly effective at breathing new life into your room and is a good way to update its functionality and style. Find someone to help you and start moving furniture around until you find the right arrangement for your living room and what you do in it, whether that’s talking or watching movies. Try furniture from other rooms to see if it would work well in your living room space. Be creative as you work on your design. Traditional living room décor and design may not work for your space, especially if it is small. Eye-catching vignettes can look great and can update your living room without having to spend a single cent. Get together a group of similarly colored accessories and arrange them on a console or coffee table. Grouping similar accessories together creates an aesthetically pleasing collection and has a much larger design impact together than they do apart. Taking the time to style your bookcases is another cost effective way to update and refresh your living room. Remove everything from the bookcase, then figure out what pieces you really like. Group the stacks of books in various ways, some horizontally, some vertically. From there, add in your artwork and accessories. Small groupings of items with varying colors, sizes, and textures can look very good. They combine well to create an eye-catching display. Bonus Tip: Don’t use blinds for your window treatments, try long flowing drapery. These will draw the attention to the vertical space. New lighting can bring a new look. Buy brand new light fixtures to brighten up the living room and reinforce your style. These can be as elaborate as a glamorous floor lamp or as simple as recessed lights. Classical yet trendy mercury glass table lamps have an Old World style that means they can fit in with most living room designs, whether traditional or contemporary. 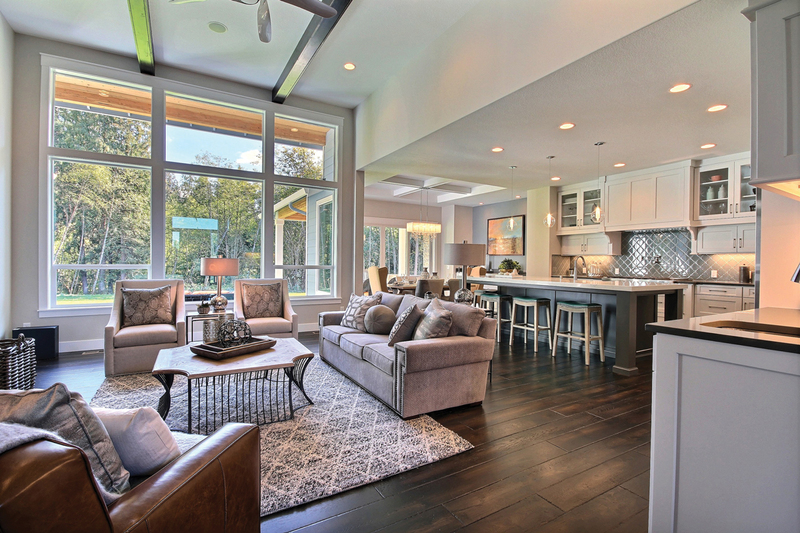 Changing the lighting can change the whole look of the space and show off your living room design at its best. 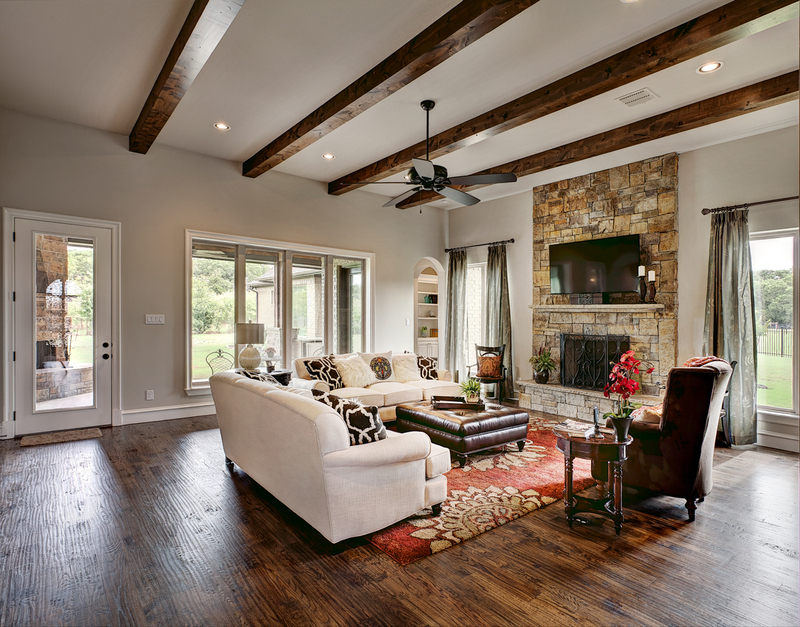 Take the time to pick out the right set of colors for your living room design. Rushing in to buy new paint without thinking your choice through can be a mistake that bothers you for years. One way is to take a look at your current living room’s contents and choose your three favorite shades. Or, if you want a complete color refresh, pick out paint swatches and bring them home to decide on a new palette. If you simply love one color, consider using it in different shades: one color for walls, another for the furniture, and a third in the décor. 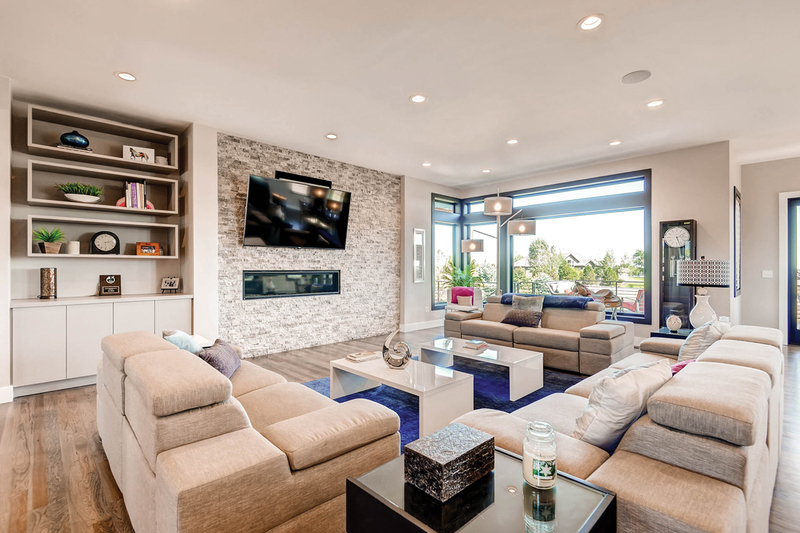 For example, if you want to base your living room design around the color blue, try a royal blue couch, then add blue accents in lamps, pillows, curtains or vases. Try mixing textures, as well. Matte paint looks very nice when paired with a glossy lamp base. 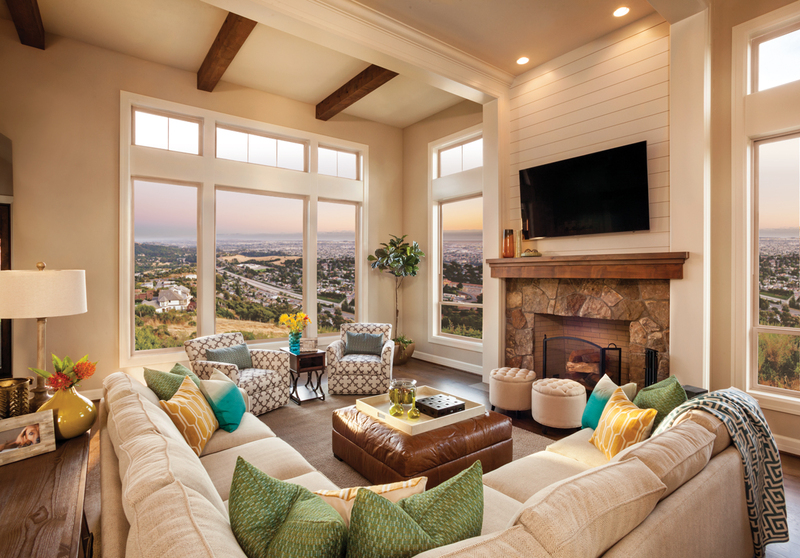 Utilize your chosen color scheme in all parts of your living room, including window treatments and accent pieces. 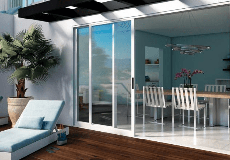 Make modifications to your design based on your desires, needs, and budget. Only buy things you really love. Art can provide a pleasant splash of color on your walls and inspiration in your design theme and color palette. There are many different kinds of artwork available, ranging from expensive paintings and prints to budget-friendly pieces you can find online. You can get a lot of mileage from simply swapping out your sofa throw pillows. Everything can remain the same in the living room, but the new pillows can create a brand new look. Mix pillows in different prints and hues to make the room visually interesting. Pull out colors in the theme you have selected for continuity. If you have end tables or coffee tables that have seen better days, think about refurbishing them to add a bit of new life with a new coat of paint or a stain. High-gloss treatments work very well for contemporary rooms, while distressed treatments work well in cottage-style spaces. Consider upholstering tired pieces or buying new slipcovers for a cost saving fix. When you want to change the look of your floor, a new rug could be the answer. It’s much less expensive than completely replacing the room with new carpet or hardwood. Plus, it’s easier to swap out a rug when you want to change colors. Or, choose a neutral rug to combine with your furniture. Pick a dramatic decorating feature for a nice personal touch. 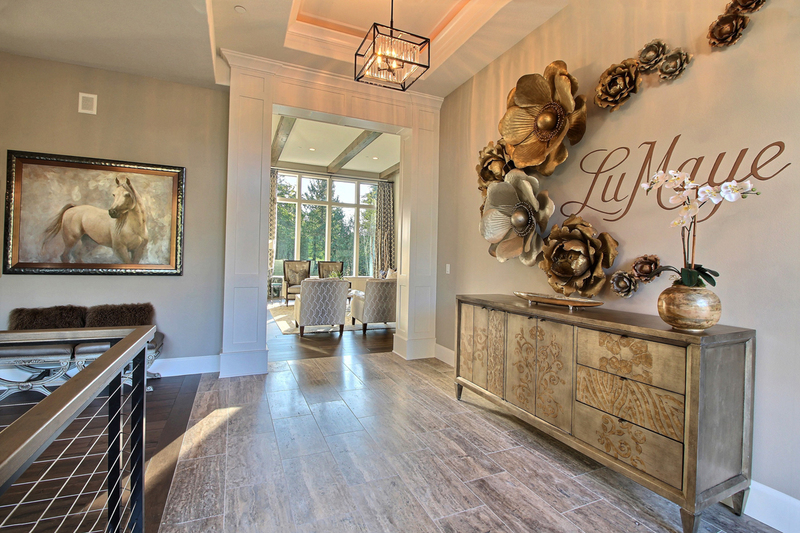 Three-dimensional pieces can really add flair, or try a sign or peel and stick letter saying. There are many ways to get creative in your decorating using wood, chipboard, and even cardboard. Check your closet first for beautiful gift wrap you like, patterned scrapbook paper, leftover wallpaper, or even vintage maps. If you don’t have what you are looking for on hand, try the local craft store. Adding a patterned wall treatment can provide a pleasant visual and tactile texture accent in creating an inviting living space. Use mirrors in your design. Well-placed mirrors can make a room feel larger. 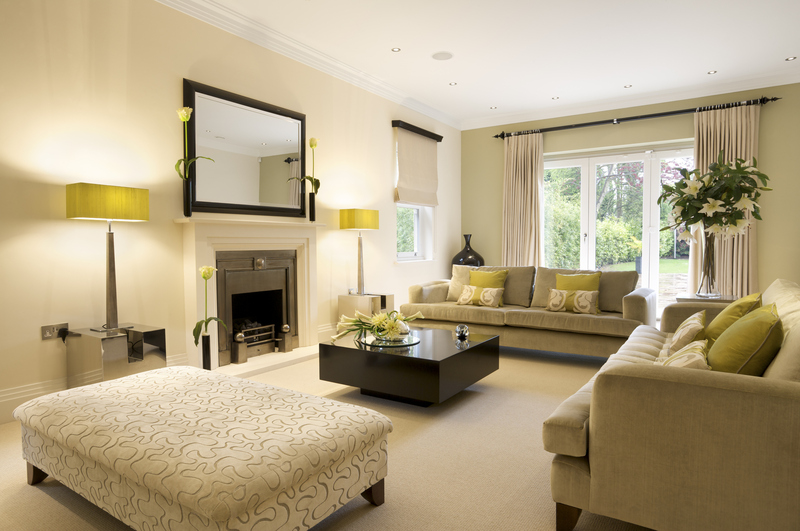 For a small living room, hang a large mirror in a central location. For an interesting ambiance, place it behind a light source like a pendant lamp or a candle. If you position the mirror across from a window, it makes it seem like there is another window. 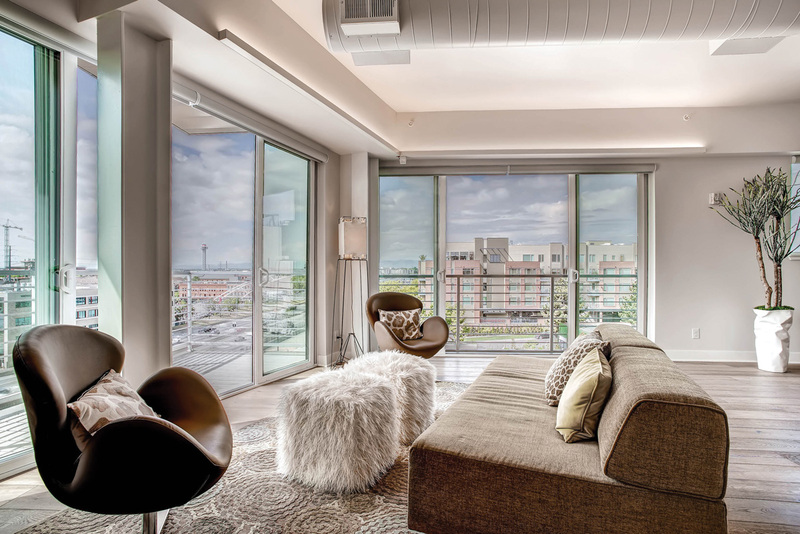 For small living rooms, pick out furniture that will not overwhelm the space. 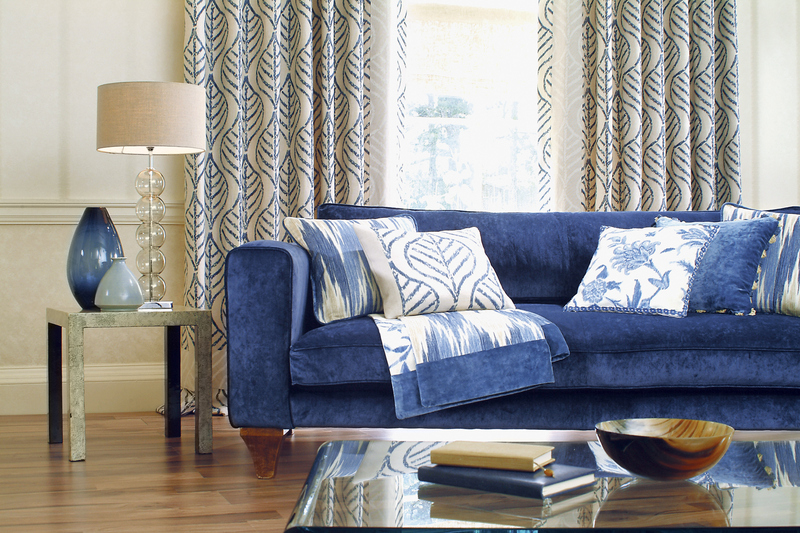 Sofas with thin arms and tightly upholstered backs look much better in small areas than a more substantial one would. You can also do without a sofa at all, opting for seating options like loveseats or chairs around a coffee table. Think about getting armless chairs to save space. These are just a few options to consider when your goal is to create amazing living room space. Use these ideas as a starting point and see what you can come up with. For more photo inspirations, visit the Milgard Photo Gallery. This is beautiful. So many creative ideas. I'd love this for my living room.